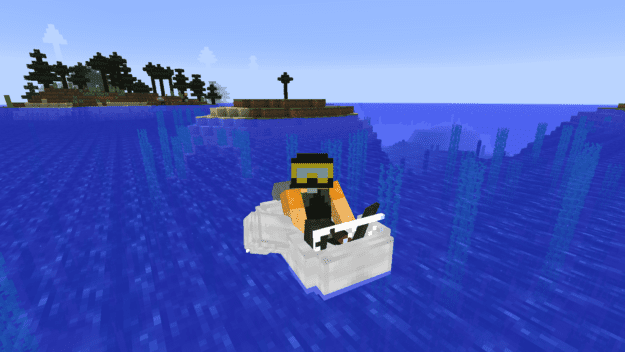 The Mariculture Mod, is a mod that aims to improve the oceans in Minecraft. It adds many more options to take advantage of including improved fishing, diving suits, watercraft and all around more realistic looking deep sea atmospheres. The diving gear is the core to exploration in this mod. The main goal is exploring the oceans more than you normally would and what better way to explore than with proper gear. You can go the old school route with a diving suit and air pump or you can skip right over to the scuba gear and freely roam. There is no real way to use the Mariculture Mod you first of all need to download it with Minecraft Forge and then you can load up your latest save game. When loading all of the mods features should be automatically enabled. Scuba tanks need to be filled using an Air Compressor, though. The Compressor will require battery power periodically and once the compressor is full, you can fill the tanks. And with a new ocean life you’ll have expanded fishing capabilities. You can craft automatic fishers to catch for you and even set up breeding tanks. 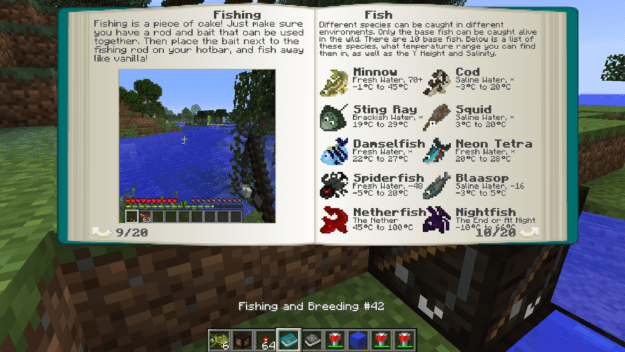 There is a book within this mod that tells you everything you need to know about fishing/breeding. And one more neat feature with this mod is the speedboat. It allows for fast travel on water without the risk of breaking! Next, download the Reptile Mod and drag and drop it into the .minecraft/mods folder of your Minecraft directory. There are currently no public changelogs for the Mariculture Mod.